We purposely followed the shiny, big, brown, new Ram Truck with all its expensive chrome and trimmings. We were on a mission to help someone avoid a motor vehicle fine. The license plate on the truck was already four months past expiration and that comes with a hefty fine if the driver is stopped by an officer. We wanted to inform the driver, who may have been unaware, so he could take action. From experience, we knew the cost. Someone stopped us not too long ago to let us know our plates didn’t have a valid sticker. Fortunately, we had paid for new plates, but never received the stickers. We had proof of payment, and the person who notified us gave us the opportunity to correct the situation before it became a problem. So we thought it would be nice to “pay it forward” in this instance. You can relate a lot of life analogies to grief. This was a good example. People can ride around in circles and know they need some kind of support or help, but aren’t really willing to seek it out or accept it. They trust that they can handle the situation on their own. Grief is a stubborn emotion. It will continue to plague you until you do something about it. The more you ignore it, the more it will demand your attention. Until the reality finally smacks you in the face…and you know it’s time to deal with it. The price you may pay at that point imposes even greater emotional trauma, self- doubts, and a series of problems. Unresolved (prolonged or chronic) or delayed grief may be the culprit of other life difficulties that plague you months or years later. 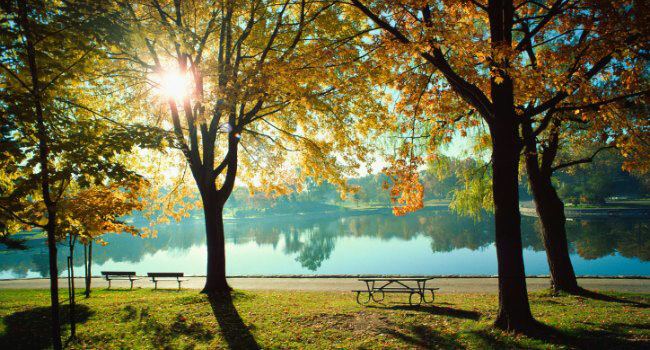 Upon your own realization or with the help of an experienced counselor, you begin to relate some of your current problems to the death of a significant person in your life that you, perhaps, did not grieve fully or grieve at all. You may have chosen to put aside grieving because you were too busy, too hurt, or too overwhelmed. It’s the penalty a bereaved person pays for ignoring the normal grieving process. Delayed grief can interfere with everyday life responsibilities, relationships, social commitments, and future happiness. Behavior is often altered and your family and friends may notice a “difference” in you. Unresolved grief can lead to depression, mental anguish, social withdrawal, and an inability to find joy in anything in life. You become a different person, but not in a positive way. Sometimes giving in to your subconscious thoughts to learn, understand, and accept support during grief feels intimidating and very humbling. Each of us believes that we have the power within us to walk the path alone. We may think that grief will go away all by itself—without intervention. That can be true for some people—depending upon the individual’s ability and desire to do his or her grief work on his or her own time. True grief work is essential to healing. Also, not all grief bears the same intensity. 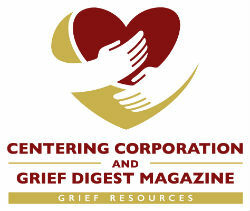 Numerous factors contribute to the depth of grief….such as relationship, cause of death, faith factors, and many more. When a death is not deemed as a significant figure in a person’s life; is not traumatic; or does not touch your daily life; grief work may be simpler, less formal, and of shorter duration. However, significant loss requires significant grief work. The good news is even unresolved grief can be treated through counseling, self-motivation to confront and cope with conflicting emotions/thoughts. Working through the process of feelings and giving voice to your relationship, your miscommunications, or your personal needs to understand the changes as a result of loss are key to healing. Even “big” people sometimes need help. Like the occupants in that shiny Ram truck with an attitude…you have a choice. You can choose to take the necessary steps to live in peace and harmony (with your loss), or you can pay the penalty when it catches up with you. On April 16, 1993, Chad Zastrow, the son of Nan and Gary died as the result of suicide. Ten weeks later Chad’s fiancée took her life. This double tragedy inspired the Zastrows to create a ministry of hope. They formed a non-profit organization called Roots© and Wings. Through workshops, seminars, group presentations and other methods, Nan and Gary create community awareness about grief experiences. Additionally, they host an annual Spring Seminar and Holiday workshop. They also facilitate a Sudden Death Learning Series. Nan is the author of a book, Blessed Are They That Mourn, and over thirty Editor’s Journal Articles in Wings and other publications. The Wings non-profit organization is the recipient of the 2000 Flame of Freedom Award for community volunteerism.